The 65-year-old was with a group using electric bikes and was descending the Glenderaterra Valley on Sunday when the incident happened on the flanks of Lonscale Fell. Keswick Mountain Rescue Team was alerted about 2.30pm on Sunday as members were returning to base from another callout. A team spokesperson said the cyclist said it was ironic he crashed where he did having survived the earlier far more technical sections of path and fell on a relatively straightforward albeit fast section of flattish track. “He tumbled onto his shoulder, side and head injuring his shoulder and ribs and he may have momentarily passed out,” the spokesperson said. “His recently bought helmet had significant scuffing on one side which undoubtedly prevented a serious head injury. 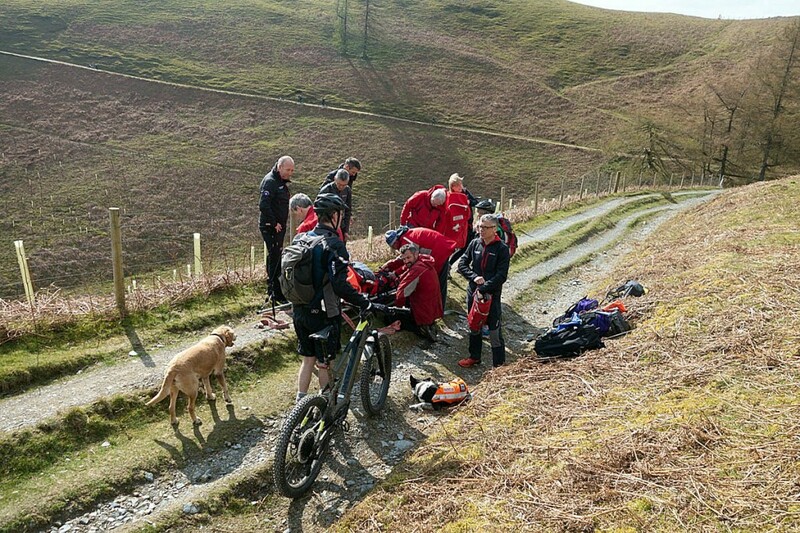 Rescuers gave the biker pain relief before putting him on a stretcher and carrying him to their vehicles at the top of Latrigg before transferring him to an ambulance which took him to hospital for further treatment. Fourteen Keswick MRT volunteers took part in the two-hour rescue. 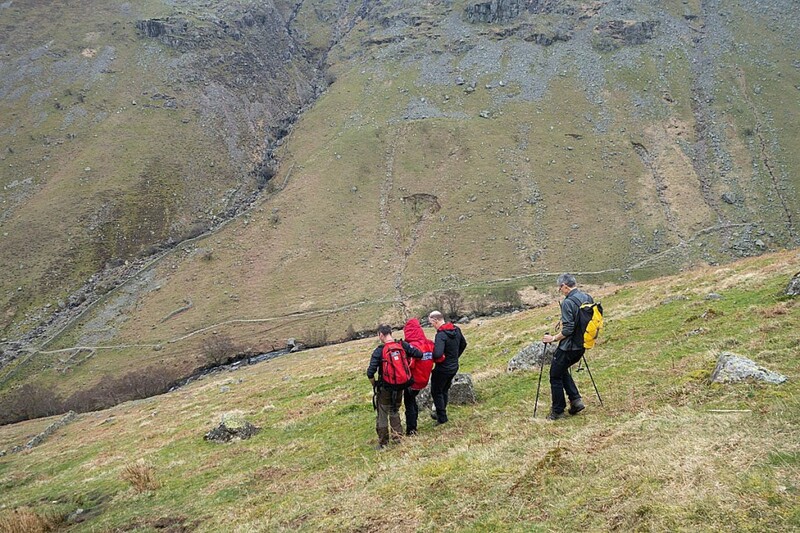 Earlier in the day the team was called to Eagle Crag in Borrowdale. One member of a local walking group began feeling unwell on the steep ascent up the nose of the fell near Stonethwaite. The team spokesperson said: “She sat on a rock to rest but shortly afterwards fainted and fell off the rock. A Land Rover with five team members made its way to the area, followed shortly by a Sprinter with more members in case a stretcher-carry was needed. The two-hour rescue involved 14 team members.